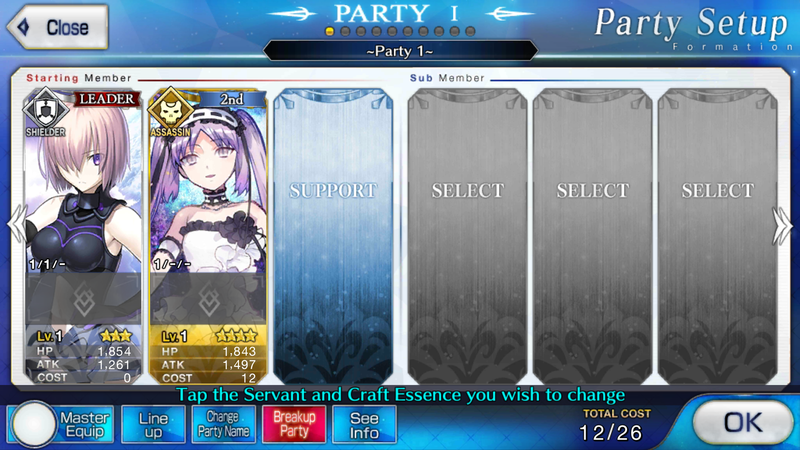 Welcome everyone to the Fate/Grand Order Guide. This guide is designed to help you understand the mechanics of the game and help you further yourself in the game itself. 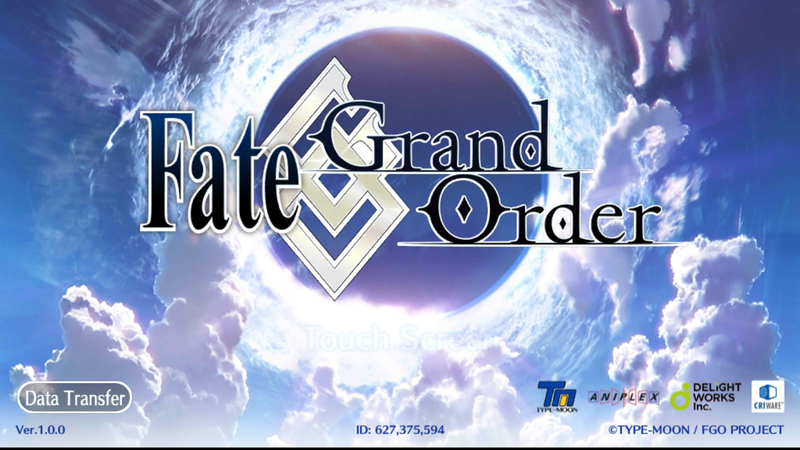 Fate/Grand Order is an RPG style game revolving around turn based combat. The major mechanic in this game is that the battle system is built around having a card deck instead of the typical command slots. 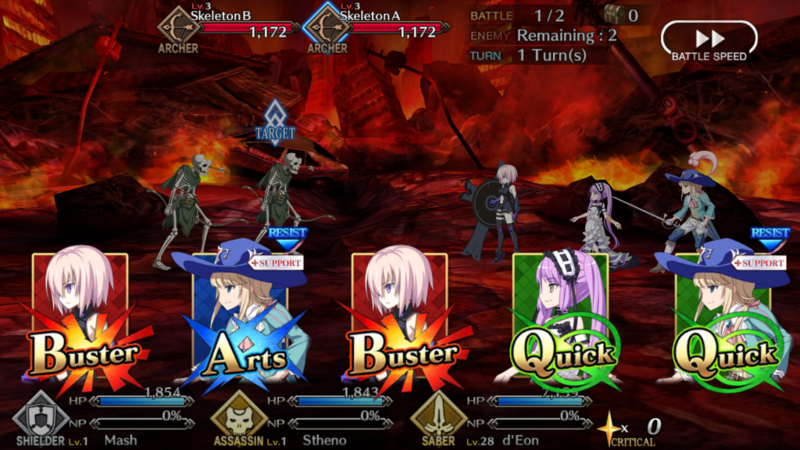 In battle you have your character party and each character has their own attack cards for them to attack with. The cards are split up in 3 different kinds, Quick(Green),Burst(Red),and Arts(Blue). The types of the cards are important simply for the meaning of chaining together combos and getting stronger attacks on each turn. The way to use the cards is explained very well through the tutorial so be sure to run through that. The battle system itself is very simple to understand and easy to get the hang of. Each turn you are given a selection of 5 cards that are chosen for you to use. They will be randomly selected and out of the 5 will be a random number of Reds, Greens, and Blues. Once you have your hand you will pick 3 cards in a specific order and that’s how the attacks will play out. This is where the strategy comes in because picking 3 random cards won’t get you anywhere in the long run. There are specific bonuses and combos you can do by picking a Quick before a Burst or using an Arts before a Quick. The combos and card match ups are trial and error of knowing which ones you can get but the cards themselves do give you a hand. When you pick a card sometimes the others will have a chance to do critical damage so using those in your combo is a good choice. One more thing to note about the cards is they determine which members of your party are going to attack. The portraits of your character are on each card and if you pick their card they will be the one to deal damage. So building your party with a good set up of characters and knowing what cards are good to use when it whats going to get you far in this game. The more you play the more you’ll understand the way its mechanics go and how to really become good at it. In Fate/Grand Order you have access to a large amount of different characters to use. Characters can be got through summons which are purchased with Quartz that you can get from in game or buying with money. Getting characters for your party is a major part of this game because the kind of characters you have determine how effect your party will be. And each character is different with their own stats and builds. The most important thing about them though is probably their skills. Every character has their own set of skills which can be used in a fight. Skills range from many different effects from being supportive and defensive of being damaging and offensive. Skills are important to a fight and having a good selection of them is just as important. Outfitting a team with nothing but offensive skills is going to let you deal damage hard and fast but you’ll be taking damage just as hard and fast. You need to have an even mix of defense and offense and skills are the best place to make that balance. 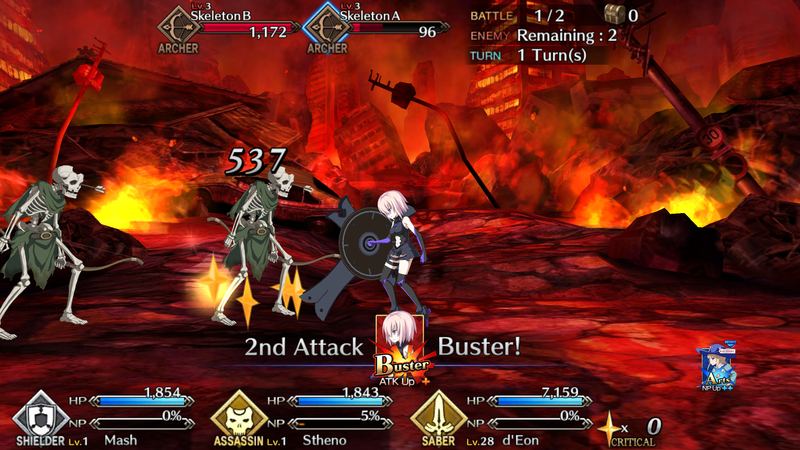 A big thing to note about Fate/Grand Order is that it really plays heavily on its RPG elements. It has a well detailed and drawn out story that you play through and is where most of your time will be spent. If you’re a fan of RPG’s that have big stories and a lot to do in them then you’ll enjoy this game quite a bit. The story itself is good and the game itself knows how to pace out the rewards given for beating story missions. After every story fight you get experience and item drops both of which are super important. Experience gives your account levels making your characters stronger as well and item drops give you materials and things you’ll need to better yourself in the game. The best tip that can be given about this game is to put all of your focus into the story. Following the story and playing through it is not only entertaining but extremely helpful in the game itself. By playing the story you’ll get good items, characters, and Quartz to buy characters. The game pretty much supplies everything you’ll need to play the game well and become proficient at it. Just remember that when in a fight the most important thing is card order. Figure out what characters work best when they go before or after certain cards. That’s the main function of the game and the only thing that needs to be understood down to the mechanic. Once that is figured out the rest of the game comes easy.